Happy New Year! 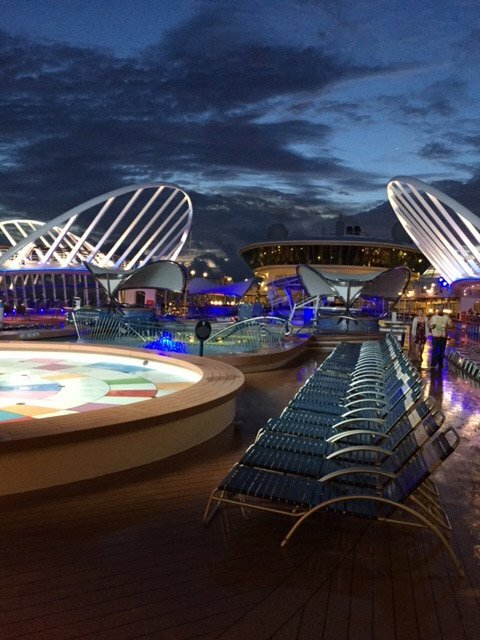 If you're ready for a mental escape to a Royal Caribbean cruise, then you're at the right place because we have some great Royal Caribbean photos our readers have sent in. Each week we ask our readers to send us their best Royal Caribbean photos to showcase right here on the blog so be sure to send yours in too! First up, we have a photo from Michael Poole of Anthem of the Seas docked in Nassau, Bahamas as seen from Enchantment of the Seas. I really like the color contrast! 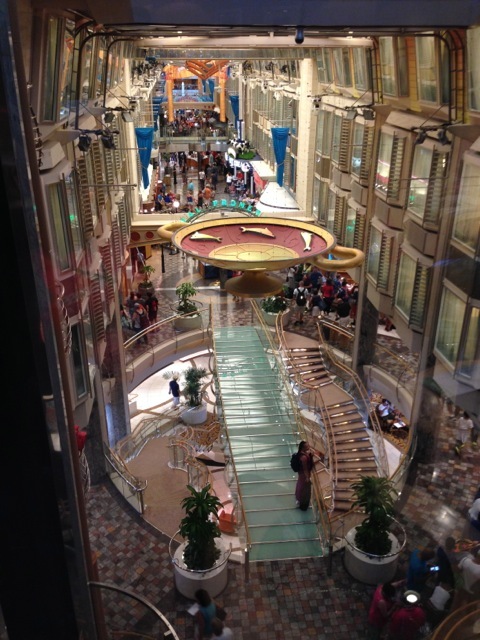 Next up is this shot of the Royal Promenade on Independence of the Seas by Tom and Diane Trudnowski. Oh, what I would not give to be there right now! Here is a great shot of "twin sisters", Freedom of the Seas and Liberty of the Seas, in Cozumel, by James Carruthers. Hard to go wrong with those Freedom class ships. Here is a great early morning photo from Nick Vitani of Enchantment of the Seas. The colors you get around dawn are hard to beat. Rounding things out is this photo of Anthem of the Seas on her first day in Southampton, by Neil Barnes.